Anthony began writing music about twenty years ago during a period when he was teaching kids. He found he was able to put some of the themes to music; the children liked them. Anthony was born in Ireland, grew up in the Catholic church, learned about the faith and sang in the choir. He was exposed to classic hymns, the liturgies and the chants. Anthony volunteered some time with the Church in South America where he learned Spanish. He ended up in the U.S. where he settled and found his voice. Along the way, he came in contact with various cultures and their music. These experiences shaped his writing. Anthony has always had a love of Church liturgy and music. He remembers the monks at the local monastery rising at night to praise and worship God in song. Anthony finds the liturgy to be a great resource for ideas and inspiration. The seasons and the sacraments parallel and enrich our experiences. Perhaps, his favorite is the Easter Vigil with its salvivic themes of light, water, the word and the joy of the resurrection. The fun and the challenge is to put them to music. Anthony writes, "It is my wish and prayer that my music will bring us closer to God, and help us see the wonders of His works and His compassion and love for all of us." Tara, Anthony Moran's daughter, has lent her voice to many recordings on this website, singing with well-tempered expression and a pleasing timbre. Tara is a New York City based musical theatre actress and recording artist. Originally from College Station, TX, she left her studies at Texas A&M University in 2005 to fulfill her lifelong dream of living in NYC. She's been hooked ever since, and after eventually finishing her Bachelor's in Spanish and Hispanic Literature at Hunter College, Tara threw herself headfirst into the pursuit of a career on the stage. Her passion for storytelling has led her to explore many different performance mediums and musical genres. Whether she's belting out soul music in a downtown dive bar, crooning in a jazz/ cabaret club, or interpreting an acting role, she tries her best to bring the same bold spirit and honesty every time. 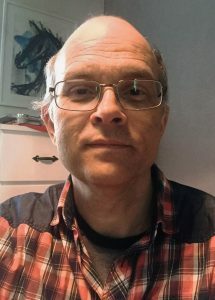 Born in Holland and currently residing in Sweden, André is a composer, music educator, engraver, story and movie enthusiast. He received his Bachelors Degree in Music (Classical Piano and Composition) from the Conservatory in Utrecht, Netherlands. His main instrument is the piano. He has written and arranged music for various ensembles including piano, solo voice, choir, chamber ensembles and orchestra. Utilizing the notation programs Sibelius and Dorico, André is skilled at arranging and engraving compositions ranging from simple voice & piano songs to full orchestral works. André is adept at creating "convincing mockups" of orchestral works using Apple Logic and Cubase. He is currently studying advanced techniques of film scoring. For more info, visit andrevanharen.com. Matilda Jane Kraemer received her Bachelor of Science in Music Education from Nazareth College of Rochester and her Master of Music degree from the University of Notre Dame. She has taught music at all levels from Kindergarten to college and is presently teaching in the Continuing Education program at Anne Arundel Community College. 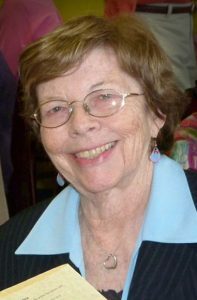 She directs Jubilate!, a group which sings at area nursing homes throughout the year. Jane believes strongly in music that enhances, rather than distracts from, the liturgy. Church musicians are ministers, not entertainers. She feels that when people remember their church experience, they especially remember the sermon and the music. Both are important to good worship that will change people’s lives for the better and bring them closer to God. Paul F. Page, composer, teacher, and performer, is now retired from a 36-year teaching career—music, journalism, English—and divides much of his time among composing, arranging, and performing. Concurrent with his teaching career, Paul was the music director at a local parish for 33 years. 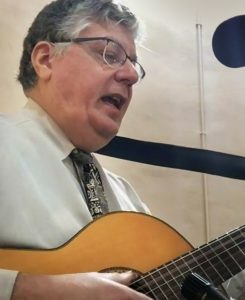 His original music has been published by J. Paluch/World Library Publications, Mark Foster Music, Curtis Music, The Oregon Catholic Press, Hinshaw Music, Somerset Press/Hope Publishing, Lorenz Music, and CynMar Publications. A number of his works have been performed and recorded in Europe and Canada, the former Soviet Union, Japan, and extensively in the U.S. Since 1984, Paul has toured Europe on six occasions as founder/director of the Santa Clara Choral Spectrum. He has adjudicated choral festivals in Feldkirche and Vienna, Austria. In 1982 he conducted his high school choir in a performance for then Pope John Paul II in St. Peter’s Square, Rome. In 1988 he was honored by the Diocese of San Jose (CA) with its Benedictus Award, being cited for his ongoing work composing and arranging new liturgical music. His Blessing has been performed in the Ukraine, Russia, and throughout Western Europe, Canada, and the U.S. Selections of his choral music appear in university conducting texts that have been published in the U.S. and in Spain. His commercial for the Belco Electric company aired in Bermuda in the Fall of 2007. In each of the past eighteen years, Paul has been honored by ASCAP (The American Society of Composers, Authors, and Publishers) for his contributions to liturgical and classical music. Many of his compositions are featured online at MacJams.com, a composers’ forum where he has received consistently positive critical review both for composition and performance, on the French site free-scores.com, and in the Pump Audio (Getty Images) music portal which distributes Paul’s music world-wide for film, radio, and television projects that canvas the globe in more than 30 countries. “Four Seasons in Rils Park/Fort Tilden” (2014) features Paul’s music in this project sponsored by The National Parks department, and a number of YouTube projects also feature his works. Paul’s commercially-released CDs include: A Corner Of My World, A Stately Affair, Autumn Sequence, Pastiche, Etudes d’Origine, When Pearls Become Wisdom, Breath of Dawn, and By The Numbers primo. They are available at cdbaby.com and on iTunes. Upcoming: “Sleight of Hand” for piano (Winter, 2018). 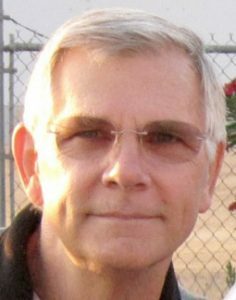 Currently, Paul is accompanist and often composer of new works for choir and assembly at St. Mary Church in Los Gatos, CA. Paul has been married to Theodora for 46 years; he has two daughters and five grandchildren. See Paul's extensive collection of freely downloadable psalms, hymns and organ compositions at www.paulpage.org. Richard C. Schletty is a voiceover artist and performing songwriter who lives in St. Paul, Minnesota, USA. He is an experienced cantor, songleader and choral singer, singing at Masses, funerals, weddings and pro-life prayer services. Richard sang with Waltham Abbey Singers, a Renaissance-Baroque choir which performed sacred music a cappella. Director: Brian Link. 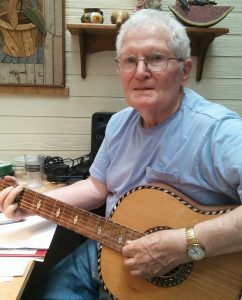 Richard is a board member of the Minnesota Association of Songwriters. He strives to improve the form and content of his songwriting and the resonance of his public performances of Folk-Rock and Worship music. Since 2004, Richard has done music collaborations with artists in the U.S., South America and Europe via email and music collaboration websites. He is developer and editor of TopCatholicSongs.com and CatholicLiturgyInSong.org. For more info, visit SchlettySound.com and SchlettyDesign.com.